Society of Certified Senior Advisors: What is Polypharmacy and Why Should We Care? What is Polypharmacy and Why Should We Care? When I was still a Pharmacy technician, I remember a customer named Mrs. Johnson who had been coming to our pharmacy for as long as I could remember. She was a sweet 75 year old woman and she usually picked up her medications for diabetes, glaucoma, and high blood pressure along with Benadryl for allergies. One day she came in to pick up 2 new prescriptions that she had dropped off the day before, one for Amitriptyline (uses include depression, nerve pain and sleep aid) and one for Clonazepam (uses include anxiety, sleeping). I asked Mrs. Johnson if she recognizes them and she thought for a second, and said she started seeing a new psychiatrist who added them because of her having trouble sleeping. I was in the process of continuing the conversation when the phone started ringing, a customer rang the bell at the drive thru and there were already three other customers behind her so, I handed the prescriptions to her, quickly rang her up and sent her on her way. As people are living longer, the prevalence of chronic diseases is increasing as is the responsibility of practitioners to appropriately prescribe for and manage multiple disease states within the same patient. The word “poly” is derived from the Greek word meaning “more than one,” and “pharmacy” refers to the Greek word for drug “pharmacon.” Therefore the literal meaning of the word polypharmacy is simply “more than one drug.” However, today polypharmacy is defined anywhere between taking 5 to 10 or more drugs at a time! There is no consensus cut off amount of medications or strict definition for polypharmacy, though generally the term inappropriate polypharmacy can be defined as the use of more medications than are clinically appropriate or medically necessary. When patients are taking too many medications, especially ones that are not medically necessary, the ramifications can be severe. The burden of taking too many medications has been directly and indirectly associated with significantly increased adverse drug events (ADEs), drug-drug interactions, drug-disease interactions, inappropriate dosing regimens, decreased medication adherence rates, reduced functional capacity, and multiple geriatric syndromes. All of which lead to increased hospitalizations, primary care visits, emergency room visits, and ultimately increased healthcare costs as well as increased medication-related morbidity and mortality. Polypharmacy can be especially problematic in the elderly population who make up less than 15% of the population yet consume over a third of all prescription medications prescribed each year. The high rate of drug consumption along with the significant physiologic changes that occur with aging put this population at a very high risk for experiencing serious consequences from polypharmacy. According to the US census bureau nearly 1 in 5 U.S. residents is expected to be aged 65 or older by the year 2030. This age group is projected to more than double to over 88.5 million in 2050. The age group of 85 years and older is expected to increase about 4-fold to over 19 million by 2050. As our elderly population grows, the number of elderly patients with concurrent medical conditions who take multiple medications also continues to grow, contributing to the ever-expanding problem of polypharmacy. Two months later Mrs. Johnson is back at the pharmacy, this time she was dropping off new prescriptions again. Per usual she smiled and asks how my day was going then handed me her prescriptions. They were for Senna (Laxative) and Docusate (Stool Softener) for constipation that she’s been having, which has become very troublesome for her. So we filled her prescriptions and sent her on her way. Next month Mrs. Johnson came back yet again, this time again with 2 new prescriptions, Donepezil for Alzheimer’s disease and eye drops for dry eyes. She says she’s having trouble keeping track of all of her medications and is starting to get very forgetful these days so her doctor put her on another drug that should help her memory. A few weeks later she came back with a new prescription for oxybutynin for some “bladder problems” she’s been having. At this point Mrs. Johnson has started 7 new medications just in the last few months, so I decided to ask the pharmacist to take a look at her medications. The pharmacist opened her profile, took a look at her medication list and then took Mrs. Johnson to the side to speak with her as I helped the next customer in line. A few minutes later the pharmacist came back and told me she’s going to call Mrs. Johnson’s doctor and make some recommendations for changes. Apparently the medication Amitriptyline she started a couple of months ago commonly causes side effects such as urinary retention, dizziness, constipation, and dry eyes which is why she was prescribed the Senna and Docusate for constipation and the eye drops for her dry eyes. On top of that, taking Amitriptyline, clonazepam, and Benadryl together can lead to increased confusion and put elderly patients at an increased risk for falling which was also likely contributing to her new onset of psychiatric problems leading to the Donepezil being started, which in turn caused overactive bladder issues leading to the oxybutynin being prescribed. Luckily we were able to catch the problem and take her off 7 clinically inappropriate and unnecessary medications before a serious hospitalization or fall occurred. A case could be made that the Pharmacist and or Doctor should have caught this issue earlier but that’s a discussion for another blog topic. Cases like Mrs. Johnson’s are far more common than we may think and really emphasize the importance of correcting polypharmacy. Increased adverse drug events (ADEs) are one of the most deleterious and extensively studied problems associated with polypharmacy. Up to 35% of outpatients and up to 40% of inpatient elderly patients have been reported to experience an ADE annually in the U.S. On top of that about 10% of emergency room visits have been attributed to an ADE annually. The addition of each new drug to a medication regimen has been found to increase the risk of an ADE. One population based study found that patients taking 5 or more medications had an 88% increased risk of an ADE compared to those taking less than 5 medications. Rates of ADEs in nursing home residents taking 9 or more medications have been found to be twice as high as patients taking fewer medications. A separate study found that older veterans taking more than 5 medications were 4 times as likely to be hospitalized from an ADE. Another well studied consequence of polypharmacy is drug-drug interactions (DDIs), which lead to increased medication related morbidity and mortality. A cohort study found that a patient taking 5-9 medications had a 50% risk of a DDI, while patients taking 20 or more medications had a 100% risk of DDIs. In a separate cohort study, the prevalence of a potential hepatic cytochrome enzyme-medicated DDI was 80% in older hospitalized adults taking 5 or more medications. A study from the Women’s Health and Aging Study found that the use of 5 or more medications was associated with a reduced ability to perform instrumental activities of daily living (IADLs). A number of studies have also associated polypharmacy with increased falls, cognitive impairment, urinary incontinence, and malnutrition in the elderly. One cohort study found that 50% of patients taking 10 or more medications were malnourished or at risk of malnourishment. With rapidly rising healthcare costs every effort needs to be made to find solutions to reduce expenditure. The US Center for Medicare and Medicaid Services estimates that polypharmacy alone is responsible for $50 billion in avoidable costs to health plans annually. Adverse Drug Events in the United States were found to cost an estimated $76.6 billion annually in the ambulatory setting alone. These figures make it clear that targeting and correcting polypharmacy stands to save the healthcare system billions of dollars each year. Many times polypharmacy, or taking multiple medications, can not only be appropriate but be necessary for a patient presenting with multiple medical conditions. For example a patient with heart failure and diabetes is required to be on several medications to slow the progression or reduce the symptoms of disease as well as to improve the quality of life and hopefully prevent complications. However, this is not always the case and many patients often fall victim to the negative consequences of polypharmacy, especially the geriatric population, making it of utmost importance to consistently evaluate a patient’s medication regimen and ensure each patient is on optimal therapy. 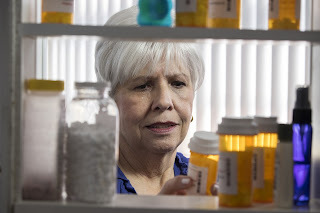 Looking back at our case of Mrs. Johnson we see how easy it is for polypharmacy to go unnoticed and potentially cause serious damage to the patient both medically and financially and this is if the customer uses only one pharmacy for their medications. If they use multiple pharmacies to try and save money then this issue can be dramatically compounded. Like I indicated earlier this story was from the time when I was a pharmacy technician, without any real knowledge in healthcare but I was still able to facilitate a discussion that significantly benefited the patient. It doesn’t have to be the doctor or the pharmacist to catch something wrong, anyone that interacts with the patient, even someone without any real training or knowledge in medications can point out something that just doesn’t look right and bring it to the attention of a doctor or a pharmacist to be corrected. Now as a practicing Pharmacist, this experience reminds me how taking a little extra time and effort can make such a big difference to a patient suffering from the consequences of polypharmacy. There is no easy fix and there are many factors that contribute to polypharmacy including time constraints on health professionals, multiple prescribers, patient-driven prescribing, low health literacy, and frequent transitions in care. Drug-related adverse effects may also not always be apparent in the elderly. Many adverse effects such as increased falls, sedation, confusion, urinary retention, failure to thrive, and decreased nutrition status are all problems that present frequently in the elderly. Failing to recognize some of these effects as drug-related may result in prescribing another medication to alleviate the problem, which may cause other problems for which another drug is prescribed, and the process continues only making matters worse, this is otherwise known as a prescribing cascade, as seen in the case of Mrs. Johnson. On top of prescription medications, the increased usage of OTC and herbal supplements can also significantly contribute to drug-drug interactions and medication related morbidity and mortality. With so many factors in play it is becoming increasingly difficult for practitioners to address the overall needs of patients while ensuring appropriate medication use. It is evident the issue of polypharmacy can be extremely costly to the healthcare system as well as damaging to the individual patient, and strategies need to be developed and implemented to tackle this ever-growing problem. Dr. Zeshan Mahmood, PharmD, is the Clinical Director of Healthcare Strategy at Pharmacist Partners, a national healthcare service and clinical knowledge organization of pharmacists. He is a practicing pharmacist for Walgreens licensed in Washington DC and Virginia. Zeshan also currently works with NovaScripts Central, a non-profit pharmacy that provides free medications to uninsured patients, on patient education and outreach initiatives. “Clinical Consequences of Polypharmacy in Elderly,” National Institutes of Health. “A Study on Polypharmacy and Potential Drug-Drug Interactions among Elderly Patients Admitted in Department of Medicine of a Tertiary Care Hospital in Puducherry,” National Institutes of Health.